How do you sell your home for the highest price possible? 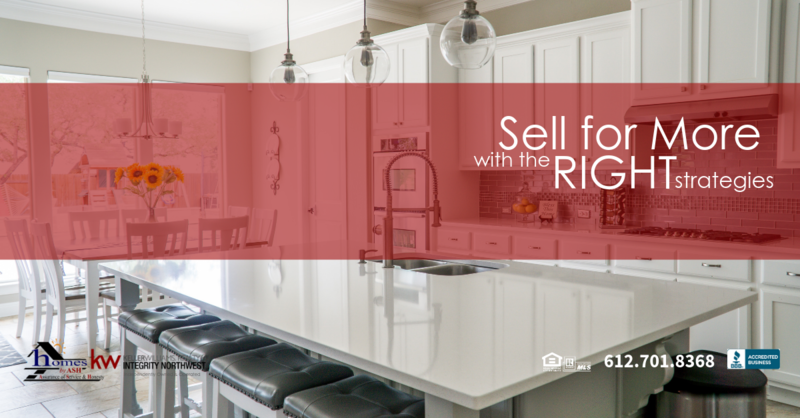 How Do You Sell Your Home For The Highest Price? The home selling season is right around the corner and we’re here to help you make the most of it! How Do You Sell Your Home For The Highest Price In The Least Amount Of Time? Lisa Ash with the Homes by Ash Real Estate Team at Keller Williams Realty Integrity NW is going to break it all down for you in the following information. Of course, every home is different, every homeowner has different goals and timelines, and every situation calls for plan that will tackle its unique situation for the best possible success in results. So, when you’re about 30-45 days from the time you want to put your home on the market, you’ll want to be able make a decision on who can best serve your needs and goals. And, hopefully, you will be calling Lisa Ash at that time so she and the Homes by Ash team can put a comprehensive strategy for your home into action! Here are your top fifteen things to do right now to prepare for the best success in selling your home tomorrow! 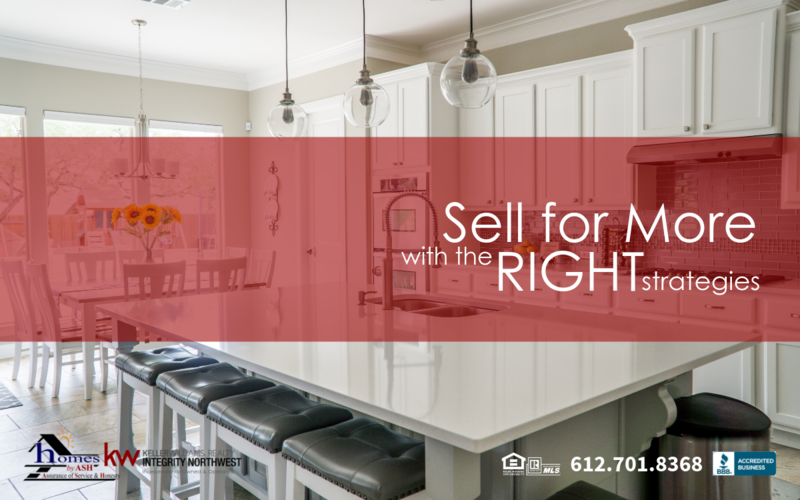 The correct market price at the start is arguably the most important part of selling your home for the highest market price possible in the shortest amount of time. PRE-INSPECTIONS – Having your home pre-inspected, and then making that information available to potential buyers upfront, can save you time in the offer process and provide additional comfort and value to those serious buyers. That’s not to say a buyer wouldn’t want to have their own independent inspection, but if they see a recent reputable report that can save them time and money in the process that equates typically equates to a simpler and less stressful sales process for everyone involved, which can equate to a stronger sales position for you. HOME WARRANTY – When you’re in a competitive market and buyers need to move quickly to make a choice on a property, or make strong offer on property looking to capitalize on a hot market, the comfort and security of having a home warranty in place can strengthen your position as the seller. Make your property more appealing to the right buyer with an added security blanket on your home over the next year. PROFESSIONAL STAGING – Using a professional stager can help neutralize a space so a potential buyer can better see themselves in your space. Over cluttered properties, properties with overly personalized decor, out-of-date decor, or unkempt properties can make it hard for a buyer to visualize the space any other way. A professional stager can give you quick takeaways and tips on opening up or re-freshening spaces that will best appeal to your target market buyer. And, most often than not, they can help you do this using your existing furnishings. MINOR UPDATES / REPAIRS – The more you can make your home feel “move-in ready” the more apt a prospective buyer will be willing to pay top dollar. So, if the sales price is a bigger priority than the timing of the sale, then make sure you’re not concerning buyers with extra time and resources they have to invest to fix simple maintenance updates around your home. Look at the condition of your flooring and walls. Remove wallpaper and add fresh, neutral paint colors. Replace outdated plumbing and lighting fixtures. Brass faucets, drawer pulls, and light fixtures conjure the feel of out-of-date decor and spaces they buyer feels they have to budget to update. Add this to burned out lights, dripping faucets, or running toilets and the red flags start to build up. We’ve seen buyers hop over to a competitor’s property for similar reasons in hot markets. LANDSCAPING – If you can’t get the buyer to see past an unkempt yard it’s hard to get them into the front door. This means more time on the market or less money offered on your “perceived” tired property. So, trim back overgrown shrubs and bushes. Trim trees that are too close to the home or touching your rooftop. Add a pop of color with fresh flowers (planted or potted). Keep seasonal decor to a minimum and strategically placed. Our staging partners can give you some quick and easy ideas. PROPER USE OF SIGNAGE – Not all properties can have signage right in the yard. Townhome and condo communities, for example, have strict policies about signage in their common areas, but using window or door decals may work in those cases. And, using directional arrows outside of that community can help direct ‘drive-by’ buyers to take a quick peek when it’s already on their route or if they’re out getting to know a neighborhood. For single family properties, taking advantage of signage in the yard is the equivalent of someone standing at the edge of the drive and waiving those buyers in. Furthermore, providing a quick easy way of contacting your REALTOR®, an informational number or web address, or even a QR code to get some quick facts about the home can drive excitement and interest for a potential buyer. BROCHURE BOXES – In addition to proper signage, adding a brochure box with some quick tangible information about your home is vital for new homebuyer shopping the neighborhood. Not every buyer wants to take the time to call or look up a property on a website out of fear they may be marketed to later on. If your REALTOR® is using brochure boxes, make sure you help them keep the box full by communicating the need for more materials when the box starts to run low. There’s nothing worse for a buyer than driving up to the sign to grab some information about the home to find out the box is empty. PROFESSIONAL PHOTOGRAPHY – If your photography is dark, over-exposed, full of distracting elements in the forefront of the photo, or immersed in off colored lighting the feeling it can evoke is one of a tired, crowded, unkempt property. And, if you’re trying to compete for top dollar with competing property exuding something much more light, bright, and open… you’re going to be perceived as being overpriced. This means either lower offers or a longer time on the market. The right photographer can ensure the lighting and angle of the photo is one that enhances the space rather than devaluing it. Savvy consumers can tell, at first glance, when someone tries to take photos on the fly with a mobile phone vs. someone who invested the time and energy in cleaning up the space. Don’t distract the buyer with quality of the photo or all the stuff in the photo. Help them, instead, focus on the possibilities of the space and how they can envision themselves in it. MARKETING MATERIALS – Just as with appropriate use of staging and professional photography, quality created marketing materials can help tell the story of your home and paint a picture for a potential buyer. It can help draw attention to those quality elements of the property and help a potential buyer picture themselves in the home. Materials being utilized often depend on the situation and the market you’re trying to reach. Examples include, but are not limited to, special features sheets, imagery-focused highlight flyers, postcards, or open house flyers. DIGITAL MARKETING – The appropriate use of website, email, and social medial presence for your home is vital to reaching potential buyers on their terms; at places and times they like to live online. If you can ramp up interest in your home before it goes live for sale, even better. This can help you create excitement in the market and encourage top dollar in less time. The Homes by Ash team has specific methods for tackling these strategies in a way that makes the most sense for each property. OPEN HOUSE – There are two different kinds of Open Houses you can leverage when marketing your home for sale. One is the common public open house. Using these scheduled times to invite neighbors in can help drive neighborly support and encourage ideas of friends and family who may be interested in moving closer to their personal spheres. Additionally, buyers looking to move to your neighborhood love a first-hand look and feel of a property. Site-unseen purchases are rare because most buyers need help understanding the size of a space, its layout, or its condition. Only an in-person visit can answer a lot of those questions. An open house is a non-intrusive way for them to gain this knowledge. The second type of open is what’s known in the industry as a Broker’s Open. It’s specifically designed to bring in other real estate professionals from the community for a closer look at your home in the hopes it will trigger a buyer profile they believe would merry well with your home. EXPERIENCE & PROFESSIONALISM – Using a REALTOR® is a huge advantage for any home seller. REALTORS® know the local market, understand the financing options, the sales process, available solutions to attract the right buyer, have expertise in today’s marketing strategies, have the resources and network of real estate experts in the industry to reach out to and lean on when representing your property, are required to take continuing educational courses that keep them on the cutting edge, and are required to adhere to level of professionalism governed by the National Association of REALTORS®. Additionally, those real estate professionals who work their business every day, full-time, and practice the business of real estate sales will be able to help you make sense of buyer sales offers and how to negotiate the terms of the offer for the best possible outcome. NETWORKING – Let’s say you know someone with a family member, friend, or co-worker who is looking to buy a home. And, guess what… you have a home to sell. Does that mean this will be the perfect fit? It would be great, but that’s a small percentage of success is reality. Now, take that same number of contacts and multiply them by thousands; even tens of thousands of people… that’s the power of the REALTOR’s® professional network. The only way to tap into that network is to leverage the professional agreement between you and the REALTOR® you choose to represent you. Lisa Ash and the Homes by Ash Real Estate have an extensive local and national network of industry professionals that has brought great success to the table for numerous incidents. INCENTIVES – Another tactic in marketing your home is offering professional financial incentives to buyer agents. This is a practice we don’t like to recommend, but it is another level of the sales cake you could discuss with your real estate team. The concept of the incentive is boosting the motivation of a buyer’s agent to ensure your home gets in front of buyers that may have otherwise overlooked it for one reason or another and bring in a successful offer to purchase. There are a great number of strategies and tactics that can be implemented and leveraged to help you sell your home for the highest price possible. Knowing where to start takes the expertise of a seasoned and successful real estate professional. When you’re ready to put your home on the market, make sure you contact a REALTOR® with a proven track record.